Whether client wants to build a new data center or optimizing/relocating the existing one, Choice Solutions can help them with the Assessment, Design, and Deployment (Relocation) of the data center. 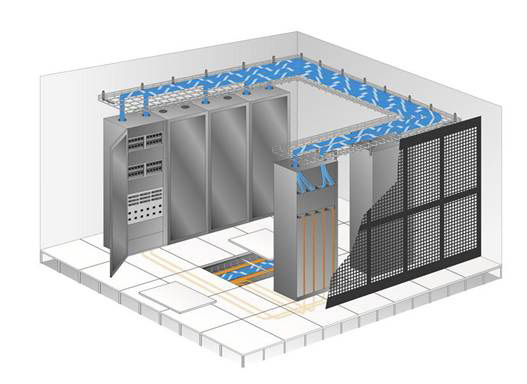 All the aspects of the physical infrastructure of a data center-power, cooling, cabling, fire prevention and suppression, racking, tiling, physical security, environmental and air quality are tackled by us. Our certified data center consultants help clients bring industry standards and best practices into their data centers and DR centers. An IT strategy needs to be translated effectively into a successful architecture in order to be implemented. 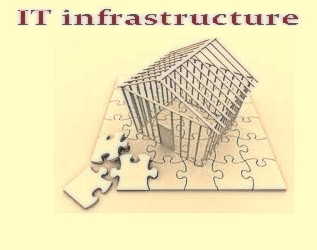 Major building blocks of IT infrastructure architecture include systems, processes and organizational structures. Choice Solutions provides technology infrastructure architecture and design consulting services that are used to define the infrastructure required and help the organization prepare business case for investment. In addition, it defines the organizational approach that is required to manage the ongoing development and delivery of the infrastructure. · Advising clients of available technical options and the opportunities which may arise from investment in the latest technologies. · Developing an integrated procurement strategy to ensure accurate, timely and cost-effective procurement of IT infrastructure systems communicating and gaining buy-in to the design by all interested parties. · Defining an organizational approach for system development and procurement. · Developing and maintaining a business case for the architecture, including the control of requirement changes with respect to costs, benefits and risks. 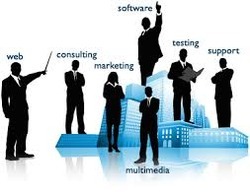 The technology infrastructure consultants at Choice Solutions can offer the entire set of business, technical, and IT management skills appropriate to each client's individual needs. This is particularly applicable where organizations no longer possess the deep levels of technical skill they once had, and hence require specialist technology infrastructure input to supplement their in-house resources. The rollout of a large corporate IT infrastructure can be a major task. The complexities involved such as technical assets, people and suppliers are so potent that an experienced management is vital to ensure smooth delivery of infrastructure on time and on budget. Choice Solutions has the relevant extensive experience of working with SMB and Enterprise level sector organizations on IT infrastructure implementations. Our experience can help clients effectively rollout their technology infrastructure. Our IT infrastructure implementation service transforms the recommendations for technical change into true business benefits. Central to this service is the installation of new infrastructure, initiation of improved technology infrastructure services and delivery of subsequent performance. IT infrastructure implementation takes detailed technical and sourcing implementation plans – developed either by Choice Solutions or in-house by clients – and looks after these plans till full implementation is done. All growing organizations are constantly hindered by complex technology changes. At the same time they need to integrate the latest technology and components seamlessly. Choice Solutions’ provides all kinds of IT Consulting Services that include an evaluation of clients current status to identify gaps and obstacles that are evident or hidden and providing cost-effective solutions to overcome the same. Choice Solutions has a proven track record in delivering the strategy, design, sourcing and implementation of network-based IT infrastructure and services. We help companies become networked organizations by harnessing the potential of IT infrastructure so that it delivers optimum benefit and value for money. We work for corporate clients across industry, government organizations, and IT service providers. Our experience is essential for ensuring our clients’ success. A significant strength of Choice Solutions when implementing an IT infrastructure is the experienced project management resources that we can offer, We have consultants who appreciate the realities of running a business while implementing a technology infrastructure roll-out in parallel. Such experience and business acumen helps to avoid potential hiccups while focusing on the early delivery of business benefits. For more information about our IT consultancy services please contact us. Choice Solutions can provide IT audit within clients current infrastructure and take care of every device connected to their network. This is normally performed at the business premises and can take a couple of days depending on the size of network. We ascertain the current solution and the nature of problems that clients have experienced in the past. We evaluate the current state of all the clients systems including servers, printers, work stations, email, backups, virus protection, firewalls and general security. · Evolved, complex ICT (Information & Communication Technology) infrastructures. · Mission Critical Applications operating in unpredictable, inconsistent environments. 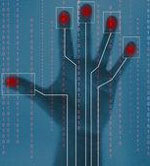 · Lack of skilled resources to cover companies’ ICT infrastructure. If clients continue to let existing ICT infrastructure develop in an uncontrolled way that does not support their strategy, there's a real risk that the systems won't be able to deliver the tools and services necessary for the business to function. To succeed, let alone stay afloat, every organization now requires carefully planned, up to date ICT systems that will further their business strategy while delivering tight cost control. We at Choice Solutions bring together the technical expertise and the extensive experience to streamline even the most complex management challenges. Through our business acumen, accredited specialist teams and partnerships with key technology providers, we cover all the bases, adhering to the latest 'best practice' guidelines. From consultation and design through to supply, implementation and support, we will work closely with you to assure a tailored solution that meets all your expectations. For more information about our managed IT services and other consultancy services please contact us. 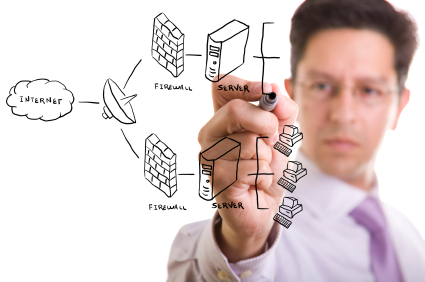 Choice Solutions is a specialist in designing architecture for business critical, closely-controlled IT environments. It includes datacenters, modular server rooms and network operations centers or any other facilities that needs to house heavy duty computing power/IT infrastructure. Choice Solutions provide these DC related services from all our service centers located in major cities across India. For more information about our DC services and many other consultancy services please contact us. Are you facing problems, managing the manpower or the expertise to administer your datacenter build out? and think that datacenter construction is a detailed, full time and a stressful job. Its’ true the high levels of expertise to setup modern datacenters necessitates’ the use of a high number of complex systems, makes datacenter construction a real challenge. A staggering number of details that can make or break the project must be given attention to. 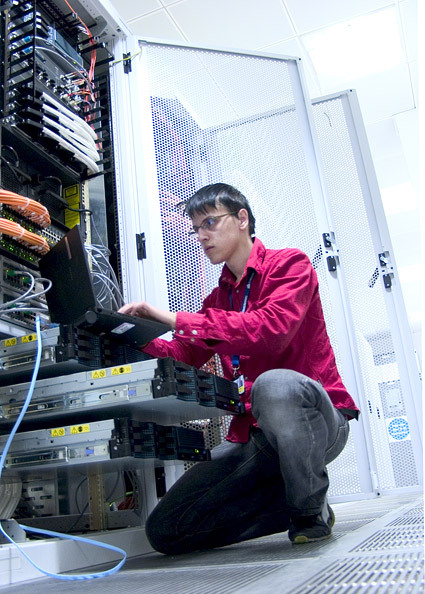 Let the expert team at Choice Solutions take up the build-out of your datacenter. Our proven approach ensures minimum interruptions to your daily operations and keeps the project within timeline and budget in check. We have all the necessary connection with infrastructure vendors and suppliers, local architects/engineers and construction companies to make the job easy for you. Ask Choice Solutions about options like Turnkey and Project Management under which we execute datacenter establishment project. Take the datacenter design as the vantage point, we oversee the bidding, selection, and build out. We manage the activities of the various resources deployed for the project. When you have several server and a small datacenters, you would soon realize the benefits lower TCO gives for having a consolidated datacenter, rather than owning and operating the smaller centers. Choice Solutions team of experts will help clients evaluate the benefits of datacenter consolidations and it a businesses financial gains. Choice Solutions can help clients relocate the datacenter and its IT components such as servers, storage devices, network, and security devices. If the new datacenter is yet to be designed and implemented, clients can use the services of the architecture and project management teams to help design and build the new datacenter. The following diagram shows the phases in a typical relocation project. 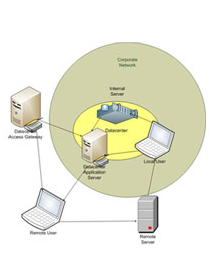 · Old Site Assessment: Involves a detailed survey of what has to be moved and carefully identifying and labeling of all devices, connection ends and loose items. · Move Plan: This may take a few days or weeks and involves making a detailed schedule of activities. · Migration of Datacenter and IT Equipment: This usually is done with or without downtime and over a week-end. · Testing and Customer Acceptance. · Documents and Maintenance: Includes writing a document on the new datacenter and the IT status and process of maintaining the infrastructure. Availability of data center is predicated on the upkeep of the underlying physical infrastructure, especially UPS and CRAC. Choice Solutions provides comprehensive maintenance plans for UPS and CRAC to clients. The plans include preventive maintenance, reliable 24/7 emergency services and break fix services. The UPS maintenance plan of Choice Solutions covers the UPS and batteries, battery replacement, power cable inspection, and infrared power connection scanning. The PAC and CRAC maintenance plan of Choice Solutions covers everything including the units; chillers; heat exchangers; dry coolers; remote condensers; cooling towers; and cooling distribution piping systems.